Car crashes are the number-one cause of death among teens in the United States. Every day car crashes end more teen lives than murder, cancer or suicide, and thousands of teens are hospitalized every year due to crashes. B.R.A.K.E.S. is on a mission to change that. When NHRA drag racing star Doug Herbert lost his two young sons, Jon and James, in a tragic highway collision in January of 2008, his grief led to resolve, inspiring a mission to help prevent other families from experiencing similar heartbreak. What are B.R.A.K.E.S.’ primary goals? To prevent injuries and save lives by training and educating teenage drivers and their parents about the importance of safe and responsible driving. Isn’t conventional driver’s education adequate training for teenagers? While conventional driver’s education is important and valuable, the B.R.A.K.E.S Teen Pro-Active Driving School curriculum goes well beyond that level of training, addressing common driving situations responsible for many traffic collisions involving teens. What’s included in the B.R.A.K.E.S. curriculum? Driving exercises include: Distracted Driving Awareness, Panic Braking, Crash Avoidance, Car Control/Skid Recovery, Drop-wheel/Off-road Recovery. Other elements include proper seat and mirror placement, proper use of seatbelts, eye scanning, Big Rig Safety, What to do during a Traffic Stop and more. Overall, how many students have attended the B.R.A.K.E.S. Teen Pro-Active Driving School? More than 35,000 teenagers -- plus their parents -- have attended the B.R.A.K.E.S. program, totaling more than 60,000 safer drivers from 45 different states and 5 countries. Where are B.R.A.K.E.S. schools held? Can B.R.A.K.E.S. bring its program to my community? B.R.A.K.E.S. continues to look for additional locations to expand its training program. 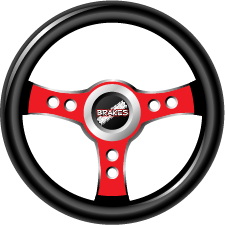 In order to hold a driving school in your community, B.R.A.K.E.S requires assistance in covering the associated costs in bringing the program to you. In general, the cost is about $500 per student and one weekend of B.R.A.K.E.S. instruction will train approximately 200 students. Please contact the B.R.A.K.E.S. headquarters for more information. Who are the instructors for B.R.A.K.E.S. Teen Pro-Active Driving School and what are their qualifications? B.R.A.K.E.S. instructors come from various backgrounds, but all have extensive experience in advanced driver training and defensive driving instruction. They include current and former members of law enforcement, professional racing drivers, and even some drivers who perform stunts in movies. In addition to their previous experience, B.R.A.K.E.S. conducts its own rigorous course for instructors to ensure consistent and safe delivery of our proven curriculum. How much does it cost to attend a B.R.A.K.E.S.? The B.R.A.K.E.S. Teen Pro-Active Driving school is offered free of charge. We require a $99 deposit at the time of registration, but this deposit is refundable upon the completion of class. As a non-profit 501 (c)3 charity, B.R.A.K.E.S. relies on donations, sponsorships, and various fundraising events to cover the costs of bringing this lifesaving program to teenagers across the country.